Now he is being sued by Tesla. 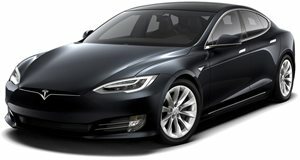 Tesla's Autopilot system currently leads the auto industry in usable self-driving technology. Unfortunately, being so good means that eventually others will want to copy you, and that is exactly what has happened to Tesla. 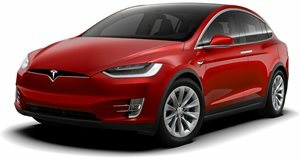 According to a lawsuit filed this week at the Superior Court of California, Tesla Motors has accused former Autopilot director Sterling Anderson of taking company information and using it for his own venture. The venture is called Aurora Innovation, and it is apparently a competing company that builds self-driving technology. The lawsuit further alleges that Anderson partnered with Chris Urmson, former head of Google's self-driving project, to launch the competing venture. Anderson served as the director of Tesla's Autopilot program from November 2015 to December 2016, and Tesla claims that he violated his contract by attempting to recruit over a dozen employees from Tesla's pool of top-notch engineers to work for him. Tesla believes that Anderson and Urmson "sought an unfair advantage." The case provides a bit of evidence to prove that Anderson actually downloaded "hundreds of gigabytes of data," including important company information that he did not return when he was terminated. It also claims that Anderson brought his Tesla laptop to Urmson's home and accessed a document called "Recruiting Targets." In a statement to Business Insider, Aurora wrote that "This abuse of the legal system is a malicious attempt to stifle a competitor and destroy personal reputations. Aurora looks forward to disproving these false allegations in court and to building a successful self-driving business." Tesla made no comment about this case, and we will have to wait and see how it all plays out.